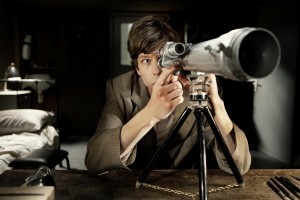 Director/co-writer Richard Ayoade’s deliciously dark “The Double” is Fyodor Dostoevsky by way of David Fincher’s “Fight Club” and Terry Gilliam’s “Brazil.” Outrageously stylish, frequently unsettling and bitterly amusing, the movie also is a showcase for actor Jesse Eisenberg, who does double duty playing both the invisibly meek office drone Simon James and his aggressively extroverted look-alike James Simon. 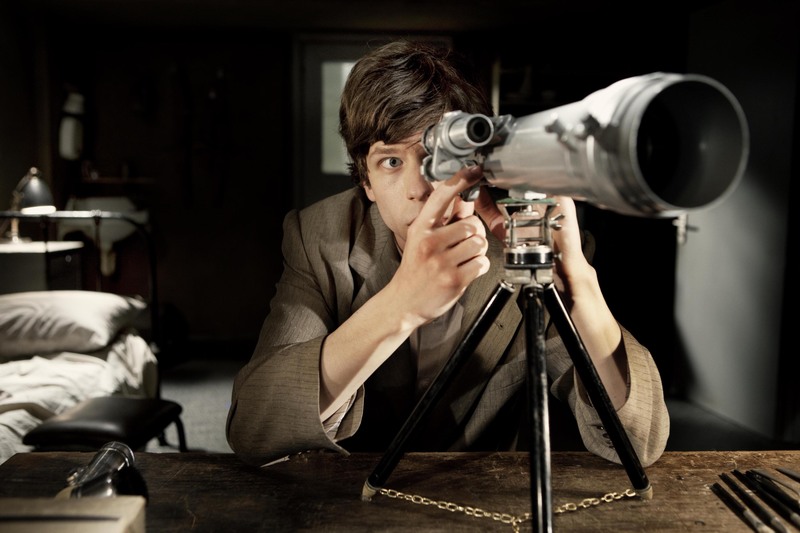 Updated to a shadowy and timelessly dystopian proto-computer era, the screenplay by Ayoade and Avi Korine alters enough characters and plot points that it is more “inspired by” than faithful to its source material. The novel’s main character has been transformed from a carriage-riding 19th-century government clerk with a valet to a subway-commuting single-room dweller obsessed with a fellow employee (Mia Wasikowska) who lives within telescope-stalking range. 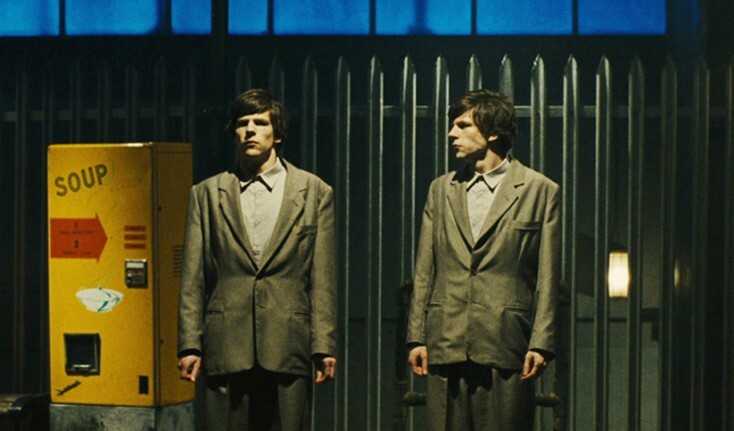 When his double appears as a new hire at the drearily dingy research firm where Simon has put in seven soul-crushing years, no one else seems to notice that the two are identical right down to their matching drab suits. But while struggling Simon goes unrecognized by even the security guard he sees every morning and is known as Stanley by his belittling boss (Wallace Shawn), outgoing James instantly becomes the firm’s universally popular and quickly promoted golden boy. When fast-talking James offers to give Simon some Cyrano-like assistance with his love life, it’s a given that things won’t end well. How incredibly wrong they go, however, becomes a nightmare of blackmail, violence and overwhelming existential angst. Eisenberg is excellent at making both the twitchy pushover Simon and the increasingly intimidating James believable. The visual effects allowing the characters to interact onscreen are convincing enough that they draw no attention to themselves. What’s even more impressive for a non-blockbuster-budget indie like this is the movie’s thoroughly immersive ambiguous-time-period set design, which looks David-Lynch-level disturbing. The fact that Simon has to lose his identity in order to find out who he is (or to try transforming into someone else) raises interesting points about what defines anyone. When he is told that his work ID has been corrupted, and that he doesn’t exist anymore because he’s “not in the system,” Simon is free to decide whether to disappear or be reborn.